How do cities govern themselves as they grow bigger? The answer can shape the competitiveness and quality of life in those cities and depends on a number of factors, ranging from the country's institutional framework to the cities' specific socioeconomic dynamics. This report presents a typology of metropolitan governance arrangements observed across OECD countries and offers guidance for cities seeking for more effective co-ordination, with a closer look at two sectors that are strategic importance for urban growth: transport and spatial planning.The report draws from international examples of metropolitan governance mechanisms, and includes a series of in-depth case studies in a selection of six large metropolitan areas: Aix-Marseille (France), Frankfurt (Germany), Athens (Greece), Daejeon (Korea), Puebla-Tlaxcala (Mexico), and Chicago (United States). 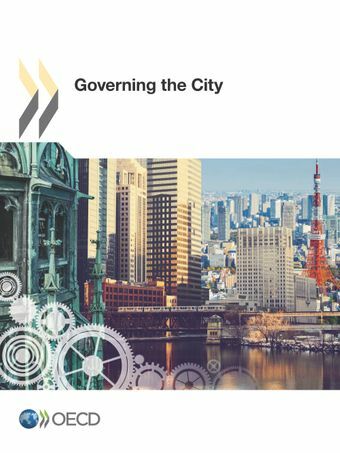 How do OECD metropolitan areas govern themselves?